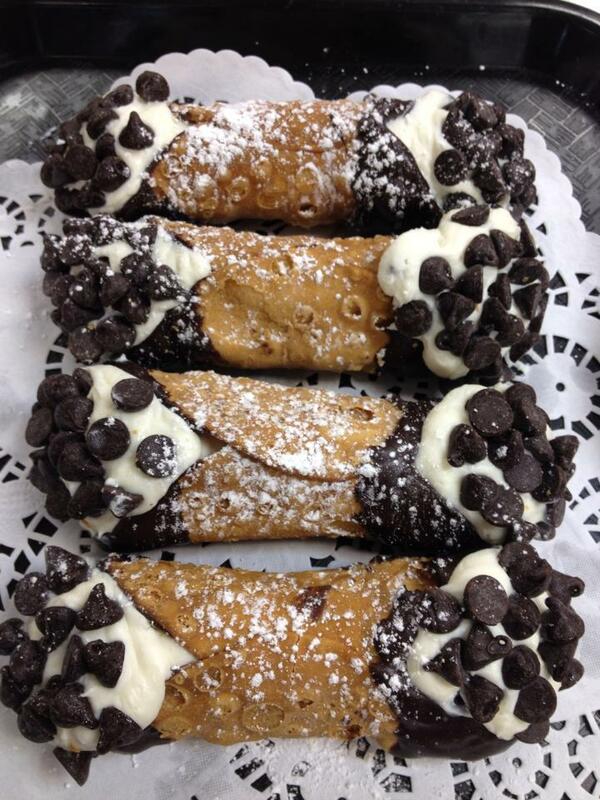 Can’t get to a cannoli? Try this dessert instead! This picture of Jill’s cannoli made my mouth water! One afternoon on Facebook, my friend Jill, of Jill’s Cakes and Bakes in Canton, Georgia, shared a mouth-watering photo of her bakery’s cannoli. I have shared the photo with you here, so that you too, can drool with longing, just as I did that day. I wanted a cannoli right then and there. If you live anywhere near Jill’s bakery in Canton, I highly recommend you high tail it right over there. Right now. Of course I couldn’t have a cannoli right then and there, and I do not live near Jill, but I had a backup plan. 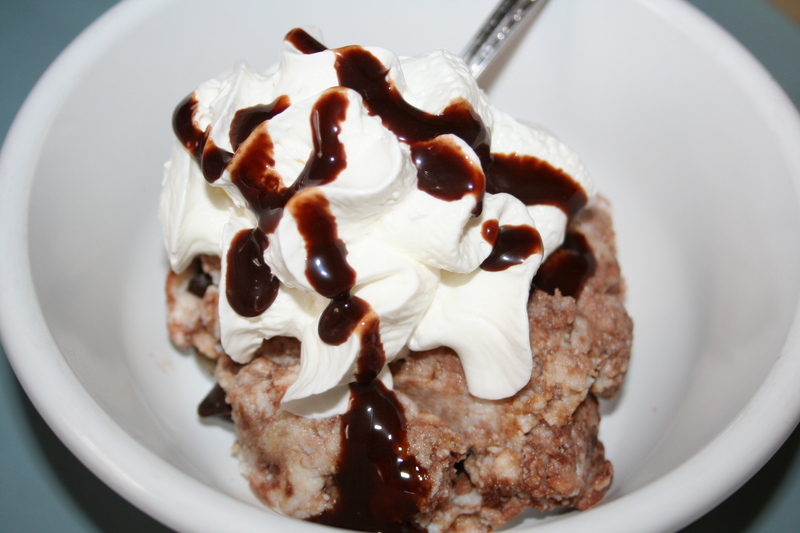 I’d have my new favorite guilt-free dessert, one that I found in the South Beach Diet Cookbook in my quest for lowfat foods. As I was perusing the book in December, I noticed that in the Phase I plan of their diet they do a lot with ricotta cheese for dessert. They add in all different flavors like orange, vanilla and…..
Yup, I went right to the Mocha Ricotta dessert page as soon as I saw that because I have always loved ricotta cheese. I don’t know if that’s a typical thing to love, but I love it, and I always have. The recipe was a simple one, and it makes one serving, just enough to satisfy my urge for a little something. On that particular day, it satisfied my urge for three cannolis. In fact, the dessert itself is very similar to the inside of a cannoli. Since I’m not actually ON a diet, I threw some fat free chocolate syrup on top, not a ton, just a little, and some fat free whipped cream on top also. It was like an ice cream sundae in the middle of the day, but much better than an ice cream sundae. Now clearly, it’s not a cannoli, but if you can’t have one, maybe this is the next best thing! Next time you’re having a craving for something sweet, give this dessert a try! I’ve had this dessert at least six times since finding it in the South Beach Diet book. Mix together the ricotta, cocoa powder, vanilla, and sugar substitute in a dessert bowl. Serve chilled with a dusting of expresso powder and sprinkled with mini chocolate chips. Yes, the first picture got me drooling ! but yours looks good too! would love to try it too!